The results of an extensive exploration with shadows, the One Day Poem Pavilion demonstrates the poetic, transitory, site-sensitive and time-based nature of light and shadow. 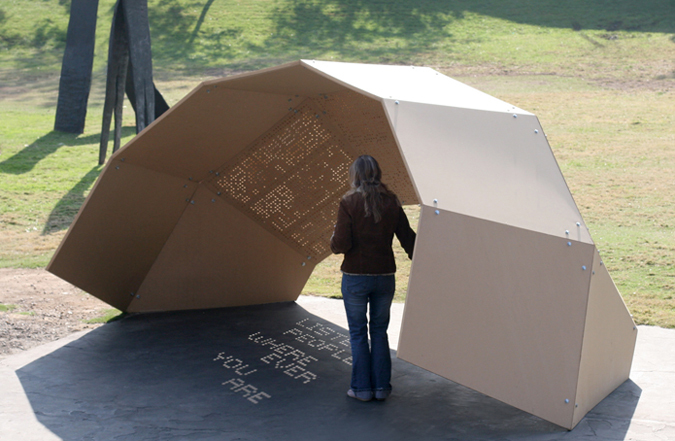 Using a complex array of perforations, the pavilion's surface allows light to pass through creating shifting patterns, which–during specific times of the year-transform into the legible text of a poem. 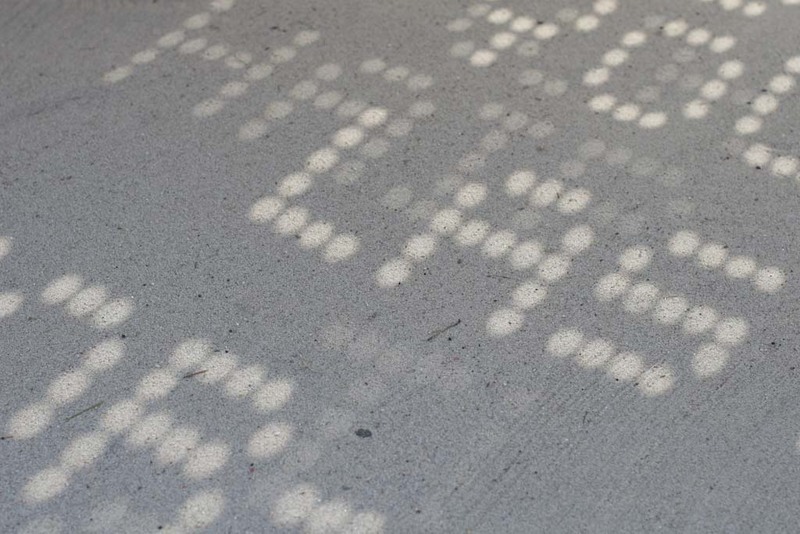 The specific arrangements of the perforations reveal different shadow–poems according to the solar calendar: a theme of new-life during the summer solstice, a reflection on the passing of time at the period of the winter solstice. The time-based nature of the poem–and the visitor's time-based encounters with it–allow viewers to have different experiences either seeing a stanza of the poem or getting the whole poem. All of these possible experiences are equally valuable and have meanings unique to the individual. This technique has the potential for producing particular effects and meanings within an architectural environment. Without the use of a source of power other than the sun, this project uses light and shadow to push the boundaries of communication and experiential delight.